Information Security means protecting information and information systems from unauthorized access, use, disclosure, disruption, modification, perusal, inspection, recording or destruction. CIS Controls - Follow our prioritized set of actions to protect your organization and data from known cyber attack vectors. 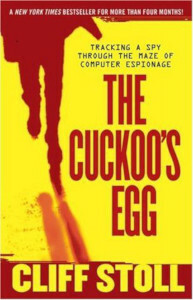 The Cuckoo's Egg: Tracking a Spy Through the Maze of Computer Espionage - Cliff Stoll was an astronomer turned systems manager at Lawrence Berkeley Lab when a 75-cent accounting error alerted him to the presence of an unauthorized user on his system. The hacker's code name was "Hunter" — a mysterious invader who managed to break into U.S. computer systems and steal sensitive military and security information. Stoll began a one-man hunt of his own: spying on the spy. It was a dangerous game of deception, broken codes, satellites, and missile bases — a one-man sting operation that finally gained the attention of the CIA...and ultimately trapped an international spy ring fueled by cash, cocaine, and the KGB. 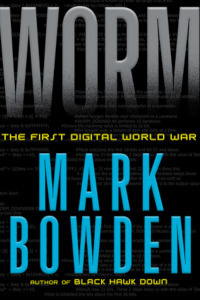 Worm: The First Digital World War - From the author of Black Hawk Down comes the story of the battle between those determined to exploit the internet and those committed to protect it--the ongoing war taking place literally beneath our fingertips. The Conficker worm infected its first computer in November 2008 and within a month had infiltrated 1.5 million computers in 195 countries. Banks, telecommunications companies, and critical government networks (including the British Parliament and the French and German military) were infected. No one had ever seen anything like it. By January 2009 the worm lay hidden in at least eight million computers and the botnet of linked computers that it had created was big enough that an attack might crash the world. This is the gripping tale of the group of hackers, researches, millionaire Internet entrepreneurs, and computer security experts who united to defend the Internet from the Conficker worm: the story of the first digital world war. 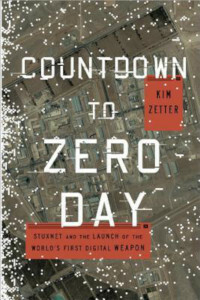 Countdown to Zero Day: Stuxnet and the Launch of the World's First Digital Weapon - In January 2010, inspectors with the International Atomic Energy Agency noticed that centrifuges at a uranium enrichment plant in Iran were failing and being replaced at an unprecedented rate. The cause of their failure was a complete mystery. Five months later, a seemingly unrelated event occurred. A computer security firm in Belarus was called in to troubleshoot some computers in Iran that were caught in a reboot loop—crashing and rebooting repeatedly. At first, technicians with the firm believed the malicious code they found on the machines was a simple, routine piece of malware. But as they and other experts around the world investigated, they discovered a virus of unparalleled complexity and mysterious provenance and intent. They had, they soon learned, stumbled upon the world’s first digital weapon. 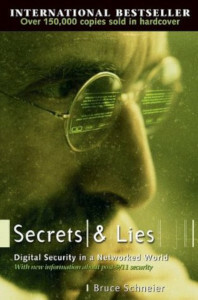 Secrets and Lies: Digital Security in a Networked World - Viruses. Identity Theft. Corporate Espionage. National secrets compromised. Can anyone promise security in our digital world? The man who introduced cryptography to the boardroom says no. But in this fascinating read, he shows us how to come closer by developing security measures in terms of context, tools, and strategy. Security is a process, not a product – one that system administrators and corporate executives alike must understand to survive. 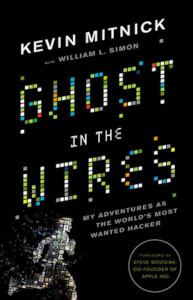 Ghost in the Wires: My Adventures as the World's Most Wanted Hacker - Kevin Mitnick was the most elusive computer break-in artist in history. 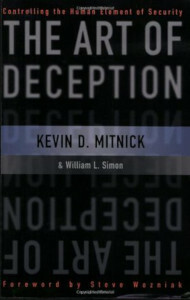 He accessed computers and networks at the world's biggest companies, and however fast the authorities were, Mitnick was faster, sprinting through phone switches, computer systems, and cellular networks. He spent years skipping through cyberspace, always three steps ahead and labeled unstoppable. 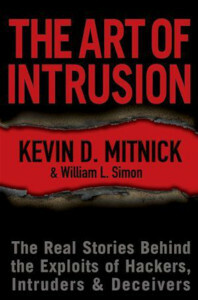 For Mitnick, hacking wasn't just about technological feats; it was an old-fashioned confidence game that required guile and deception to trick the unwitting out of valuable information. Driven by a powerful urge to accomplish the impossible, Mitnick bypassed security systems and blazed into major organizations including Motorola, Sun Microsystems, and Pacific Bell. As the FBI's net began to tighten, Mitnick went on the run, engaging in an increasingly sophisticated cat-and-mouse game that led through false identities, a host of cities, plenty of close shaves, and an ultimate showdown with the Feds, who would stop at nothing to bring him down. A group of friends who won nearly a million dollars in Las Vegas by reverse-engineering slot machines Two teenagers who were persuaded by terrorists to hack into the Lockheed Martin computer systems Two convicts who joined forces to become hackers inside a Texas prison A "Robin Hood" hacker who penetrated the computer systems of many prominent companies-andthen told them how he gained access With riveting "you are there" descriptions of real computer break-ins, indispensable tips on countermeasures security professionals need to implement now, and Mitnick's own acerbic commentary on the crimes he describes, this book is sure to reach a wide audience-and attract the attention of both law enforcement agencies and the media. Cybersecurity Canon Archives - Palo Alto Networks Blog - Essential Reading for the Security Professional: We modeled the Cybersecurity Canon after the Baseball or Rock & Roll Hall-of-Fame, except for cybersecurity books. We have more than 25 books on the initial candidate list, but we are soliciting help from the cybersecurity community to increase the number to be much more than that. Please write a review and nominate your favorite. Bay Area Linux Users Group - BALUG is the Bay Area Linux Users Group. We generally meet monthly in San Francisco (generally in the Chinatown area, near downtown). Silicon Valley Linux Users Group - The Silicon Valley Linux User Group (SVLUG) is the oldest and one of the largest Linux user groups in the world. BayThreat is an annual security conference that takes place in the Silicon Valley area. Page last modified on Thursday November 29, 2018 22:24:28 UTC.